After a hotly anticipated initial public offering back in May, shares of Facebook have dropped. As of this second, Facebook is trading at $21/share, which gives the company a valuation of less than $40 billion. 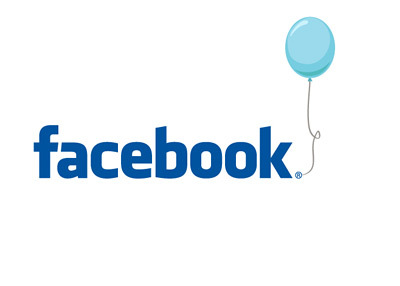 When shares of Facebook opened for trading on May 18th, 2012, the first print was $42.05. Many people bought shares of Facebook shortly after the open on May 18th. Some of these people sold right away, but many are still holding. These people who are still holding are currently down roughly 50% on their investments. Up until about the beginning of May, the news flow for Facebook was almost universally positive. Since then, the tide has turned and a new negative news story seems to surface every week. This week, for instance, concerns have surfaced over the quality of the clicks that Facebook delivers to their advertisers. Since mid-May, tens of billions of dollars of Facebook market capitalization has been obliterated. The Facebook initial public offering has been such an epic disaster that it has basically stopped the market for technology IPOs in its tracks, at least for the time being. Where will Facebook bottom out? $20? $15? $10? Will Facebook be able to effectively deal with the growing number of users who are visiting the site via mobile devices? Will Facebook be able to address concerns over click quality? Will Facebook be able to resurrect themselves in the eyes of their shareholders and the general investing public? Will Facebook be able to rev up their revenue growth enough to justify their $40 billion market cap? The way that Facebook is consistently being taken apart on a daily basis is quite amazing. When will it end?